Trivento, Mendoza (Argentina) Malbec Reserve 2014 ($11, Excelsior Wines and Spirits): Yet another example of why Malbec continues to be popular. There’s a lot to like for your eleven bucks, with blackberry, raspberry, cedar spice toasty oak and a savory note on the nose and in the mouth, with enough grip to stand up to myriad food pairings – anything from mixed tapas to a full parilla grill, you can’t go wrong. 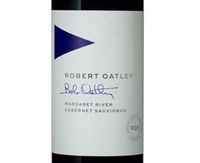 Robert Oatley, Margaret River (Australia) Cabernet Sauvignon Signature Series 2014 ($20, Pacific Highway Wine and Spirits): A fresh, lively Cabernet that’s proud of its terroir, showing plush black fruit, dried herbs, mild earth and soft brown spice. Firm grip suggests a big roast or lamb chops as a food pairing. It should be fairly easy to find, and it’s priced well below its quality level. Well done! Lucien Albrecht, Alsace (France) Crémant d’Alsace Brut Rosé NV ($21): A stunning expression of the sunny slopes in Alsace. This sparkling rosé is made from 100% Pinot Noir using whole clusters in the methode traditionale. While aromas of strawberry rhubarb pie with a toasty butter crust greet the nose, the palate adds more tart characteristics of fresh raspberry and lemon zest. Mouton Cadet, Bordeaux (France) Rosé 2015 ($12): This Bordeaux showstopper is a blend of traditional varieties including 53% Merlot, 20% Cabernet Franc, and 27% Cabernet Sauvignon. A rich hue of blush, this lovely wine offers notes of red currant, raspberry and ruby red grapefruit with a touch of faint sage at the end. Supple fruit on the palate is followed with bright kiss of fleshy lemon and a lingering finish. This vibrantly fruity rosé would pair well with lighter fare such as grilled salmon with pearl tomato, feta and pearl couscous salad. Bieler Père et Fils, Coteaux d’Aix-en-Provence (France) Rosé “Sabine 2015 ($13): Everything about this quintessential Provencal Rosé says “springtime!” A happy blend of rich wild strawberry, cherry, and pomegranate dance in the glass with savory sun-dried herbs. This crisp, refreshing blend of 40% Grenache, 25% Syrah, 25% Cabernet Sauvignon, 3% Cinsault and 3% Rolle offers a supple roundness of texture on the finish. A definite palate pleaser for the months to come. 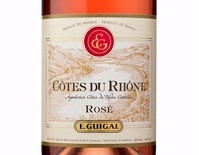 E. Guigal, Côtes du Rhône (France) Rosé 2014 ($12): Just beyond Provence, the Rhône Valley puts out some pretty powerful competition in the rosé category and famed winery E. Guigal consistently reveals a refreshing expression of the region. The 2014 Rosé is delicious and delicate, with a mélange of fresh summer strawberries, raspberries and cherry that elegantly funnels into a lingering mineral-driven finish. A blend of Grenache, Cinsault and Syrah, this pretty pale pink number is a perfect partner for outdoor picnics. Galil Mountain, Upper Galilee (Israel) Rosé 2014 ($14): This is historic region offers some beautiful rare finds and this unique blend is no exception. Showing refreshing acidity and notes of red fruit and rose petals on the palate, this wine is sourced from vineyards in Israel’s Upper Galilee. Hand-harvested Sangiovese is processed as a “white wine” and later blended with Pinot Noir and Grenache produced in the saignée method. An exceptional conversation starter for any summer get together. Villa Gemma Masciarelli, Cerasuolo d’Abruzzo (Italy) Rosé 2014($14): This complex and cherry pink rosé is a heftier style than your average rosé, but a welcome addition to the mix. Made from 100 percent Montepulciano d’Abruzzo grapes and presents with an intense cherry pink color and a fragrant floral bouquet etched with rich pomegranate and fresh thyme. A sublime accompaniment to a pizza al fresco. Ferrari, Trentino (Italy) Brut Rosé NV ($30): The only thing more fun than pink wine is pink with with bubbles. Especially this elegant Brut Rosé from Ferrari. Established over a century ago in Italy’s mountainous northern region of Trentino, Ferrari was recently named Wine Enthusiast’s “2015 Best European Winery.” This wine is produced in the traditional method and undergoes more than two years of bottle aging on the lees. Made from Pinot Noir and Chardonnay, this wine is crisp and bright with notes of wild strawberry and raspberry cream and elegantly balances acidity and sweetness with a refreshing finish. Bertani, Veneto (Italy) Bertarose Rosé 2014 ($20): It’s been referred to as the “Rosé of Kings.” Perhaps because this particular bottling from Veneto is from one of the northern Italy’s most iconic and historic producers in the past 150 years, and bares the royal seal of the Savoia family. Aromas of cherry and rose petal erupt from the glass with a faint whiff of spice. The texture and feel is bone dry, racy, and with a little more spice coming through along with a toasted nut character. Vinha da Defesa, Alentejo (Portugal) Rosé 2014 ($10): For those who love a darker shade of pink, this opulent Portuguese blend of Aragonês (Tempranillo) and Syrah comes from the Alentejo region and offers a deeply structured alternative to the light and delicate vin gris styles of Southern France. Macerated cherries dominate the nose and palate framed by fresh spring herbs of mint and basil. Hacienda de Arínzano, D.O. Pago di Arínzano (Spain) Rosé 2015($19): The deeply blush-colored wine is from the first winery in Northeast Spain to receive the prestigious Pago designation due to its unique landscape and climate. This rosé is made from 100% Tempranillo and offers intense aromas of strawberry, pink grapefruit and white pepper laced with a hint of rose petal. An excellent wine for a juicy grilled burger. Anna de Codorníu, Catalonia (Spain) Cava Brut Rosé NV ($14):The only thing more fun than pink wine is pink with with bubbles. Especially this elegant Brut Rosé from Codorníu. Notes of crushed red berries intermingle with underlying minerality and a delicate mid-palate with crisp, fresh powdery berry flavors on to the finish. An excellent aperitif for the patio. Finca Montepedroso, Rueda (Castilla y León, Spain) Verdejo 2014 ($15, Winebow): Fresh and bright, with the variety’s characteristically crisp flavors and a smooth, supple texture, this Verdejo offers delicious warm-weather drinking. Perhaps because the grapes come from Rueda’s highest elevation vineyards, it has plenty of acidity and shows no sign of fatigue. Still, this is a wine to drink in its youth, meaning this spring and summer. 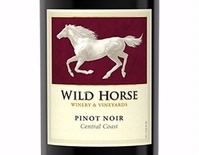 Wild Horse Winery & Vineyards, Central Coast (California) Pinot Noir 2014 ($18): Here’s a solid food friendly Pinot Noir at a pleasing price. Medium extraction and well-managed French oak give us a mouthful of cherry, strawberry, cranberry and spice, with crisp acidity that adds a citric note to the long finish. Salmon or swordfish – get a nice cut with what you saved on the wine. Pedroncelli Winery, Dry Creek Valley (Sonoma County, California) Cabernet Sauvignon Estate Vineyard “Wisdom” 2012($36): With experience comes wisdom, and Pedroncelli will celebrate 90 years of experience next year, likely with a few bottles of this wine. 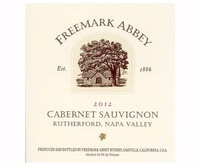 Fine age-worthy structure, popping acidity, classic Sonoma Cabernet aroma and flavor profile, supple tannins and a lingering well integrated finish show the insight gained over many years. And you get to enjoy the benefits. Contains 10% Malbec. Niner Wine Estates, Edna Valley (California) Pinot Noir Jespersen Ranch 2013 ($35): There’s a lot going on in this cool climate Pinot Noir. It opens with leaf and brown spice aromas that morph into deep spiced cherry, raspberry and a mix of damp and dry earth and a note of lemon zest with a slow draft on the glass. On the palate it’s quite complex, delivering the promise of the nose over lively acidity and finishing long with a citrus note coming forward. A beautiful food wine. River Myst Haven, Russian River Valley (Sonoma County, California) Pinot Noir 2013 ($52): A new player to me, and one worth keeping an eye on. This Pinot Noir bottling is a lovely low alcohol mix of earthy minerality, cherry and oak spice aromas and flavors that are are joined by touches of pepper and herbs. The acidity is very lively and props up the flavors in a lingering finish. It needs a bit of bottle age to show its full potential, but will come around with elegance and style. Presqu’ile, San Luis Obispo County (Central Coast, California) Pinot Noir Steiner Creek Vineyard 2013 ($48): A very interesting wine. Don’t be put off by an initial nose that shows cracked tomato leaf and dusty aromas. Give it some swirling in the glass to release the dark cherry fruit and brown spice that soften the earthy elements and make for a Pinot Noir that certainly isn’t for everyone, but will please fans of a funky, dusty style. This would pair beautifully with herb encrusted pork or beef dishes. Tuscandidio Winery, South Coast (California) Barbera Estate Grown 2013 ($2,290): I’m surprised that Barbera hasn’t caught on more quickly in California. Almost all of the examples I taste are well made and quite food friendly thanks to the grape’s natural acidity. Winemaker Jim Tondelli has a winner in this bottle, with a mix of lively black cherry, leaf and spice that ride the acid wave through a long fresh finish. This is thoroughly enjoyable now and will have no problem aging another five years. Niner Wine Estates, Edna Valley (California) Chardonnay Jespersen Ranch 2013 ($25): Not many Chardonnays can handle an oak load like this one has and still provide full rich fruit, vibrant acidity and great complexity from start to finish like this one does. It hits my markers for crisp and creamy, with rich lemon, apple, spice and stony mineral aromas and flavors. I tasted this alongside a garlic soup with poached egg and croutons with smoked paprika and it really came to life. Try THAT with any old Chardonnay. J. Lohr, Monterey County (California) Riesling “Bay Mist” 2014($10): I always like this bottling from J. Lohr. It’s fresh and clean, never too sweet for its acidity, and always flavorful, with this vintage showing sweet apple, pear and stonefruit over granite minerality. The finish is crisp and bright – try it with simple fresh roasted cauliflower. That’s what the Monterey Wine Competition judges recommend. Presqu’ile, San Luis Obispo County (Central Coast, California) Chardonnay Presqu’ile Vineyard 2013 ($45): Hooray for age-worthy Chardonnay — something that only a few California producers are shooting at these days. 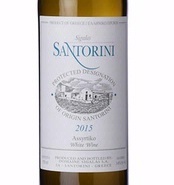 This wine shows a depth and richness that will only improve as the acidity softens with time, allowing the lemon, quince, mellow oak spice and mild herbs to really sing. Winemaker Dieter Cronje let his Burgundian side show here. Well done!